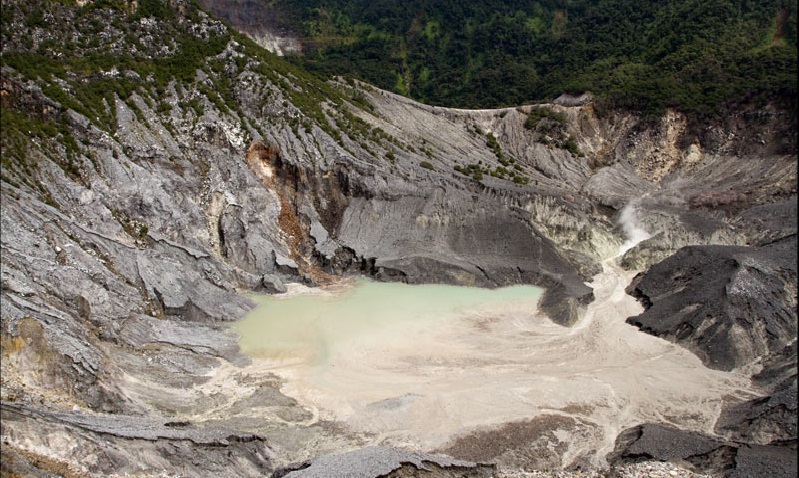 The Tangkuban Perahu is one of the most popular tourist destination in West Java at Indonesian mountain, placed around 30 Km at north side of Bandung City. The height about 1,830m above sea level, with its distinguished truncated flat-peak shape. 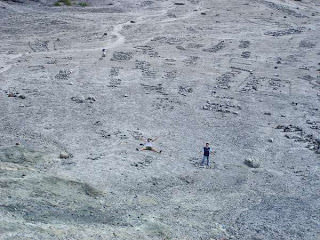 Tangkuban Perahu Mountain in local Sundanese dialect means ‘upturned boat’, who was believed to have a mystical ambiance. to the local legend of its creation. The story tells of "Dayang Sumbi", a beauty who lived in West Java. She cast away her son "Sangkuriang" for disobedience, and in her sadness was granted the power of eternal youth by the gods. After many years in exile, Sangkuriang decided to return to his home, long after the two had forgotten and failed to recognize each other. Sangkuriang fell in love with Dayang Sumbi and planned to marry her, only for Dayang Sumbi to recognize his birthmark just as he was about to go hunting. In order to prevent the marriage from taking place, Dayang Sumbi asked Sangkuriang to build a dam on the river Citarum and to build a large boat to cross the river, both before the sunrise. Sangkuriang meditated and summoned mythical ogre-like creatures (buta hejo or green giants ) to do his bidding. Dayang Sumbi saw that the tasks were almost completed and called on her workers to spread red silk cloths east of the city, to give the impression of impending sunrise. 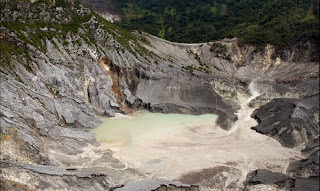 Sangkuriang was fooled, and upon believing that he had failed, kicked the dam and the unfinished boat, resulting in severe flooding and the creation of Tangkuban Perahu from the hull of the boat. 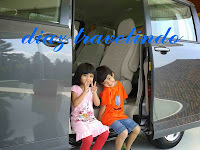 There are 10 crater at Tangkuban Perahu mountain. Ratu (The Queen) Crater, Upas Crater, Baru (New) Crater, Lanang (Men) Crater, Ecoma Crater, Jurig (Devil) Crater, Siluman (Ghost) Crater, Domas Crater, Jarian (Trash) Crater and Pangguyangan Badak (Rhino pool) Crater. 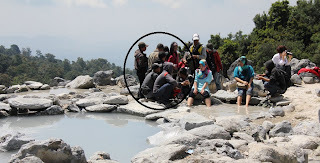 Only 3 famous crater for tourist visit. The Queen crater placed on the top of the mountain. We can not go down to the base of the crater. 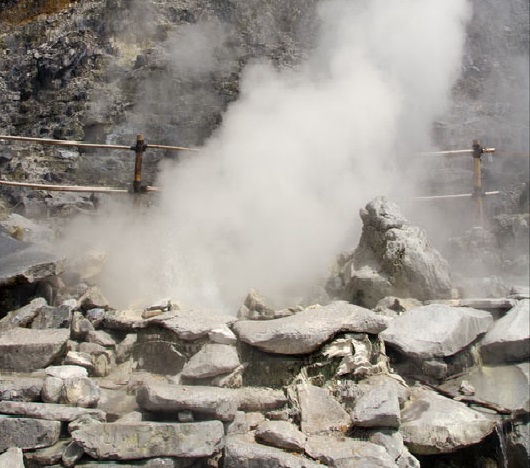 Poisonous gas is still active. 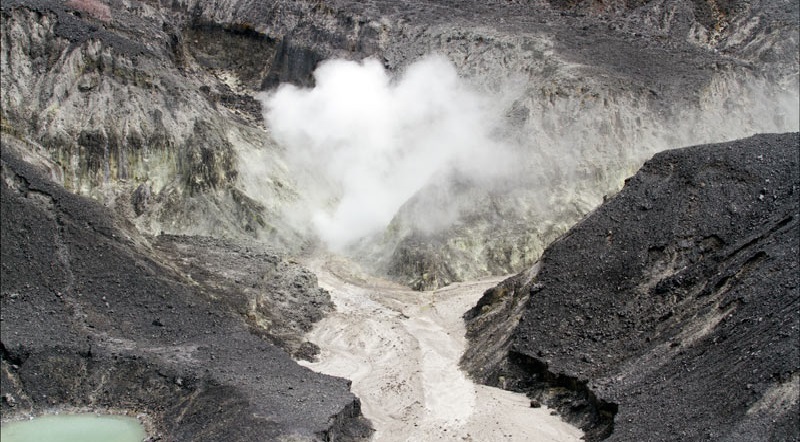 Recently ( February - March 2013) the mountain is closed for more than 2 week because of increased activity of the volcano at Queen crater. Sometime the visitor can hear the sound of the steam burst come out. Kawah Upas just a plains that partially overgrown shrubs. In another part of the crater there are puddles that resemble small lakes. Rock cliffs towering trees and overgrown like the fortress that surrounds and protects the Upas crater. There is something unique and interesting in this Upas crater. 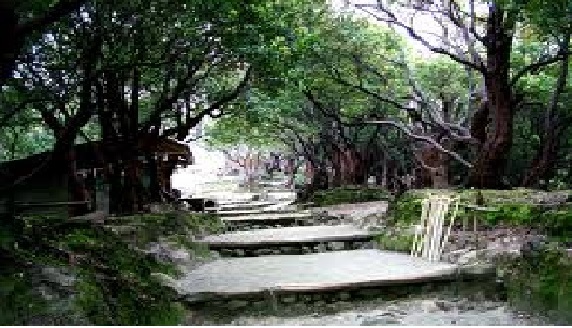 On the land there are extensive writings compiled many of the stones in the vicinity. There are writing your name, hometown, school, and so on. And, what makes it unique is that the writings using a variety of languages ​​from around the world, such as China, Korea, Japan and the UK. Using a variety of languages ​​as the court making such inscriptions Kawah Upas world. 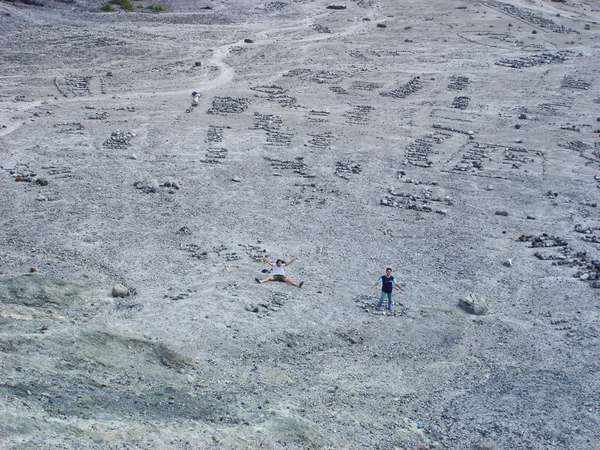 When you get down to the bottom of the crater and was about to make the text of the stone structure, would be a bit surprised. As it turns out, the stone used to construct the writings size large. Therefore, you will need time and effort to put them together. 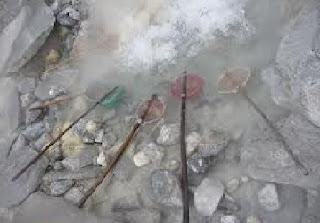 However, fatigue when preparing the stones will pay off when you see the results of the cliff. There is a sense of pride when they see your name engraved in the court of land Upas crater.To get to it you stay Upas crater continue westward past kios souvenir stalls. The crater is adjacent to the crater of the Queen so that you need a little around the crater of the Queen to get there. The road to Crater Upas a path in the woods. When the fog down the atmosphere will be dark immediately. It actually makes the dramatic atmosphere of the forest, like a jungle of mystery in the setting of a horror film.After passing through the forest, the path you pass through a little steep until reaching a plateau dominated by sand and small rocks. This is the back of the crater plains separating the Queen Crater and Crater Upas. 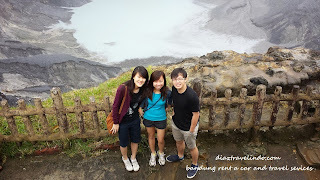 In addition to watching the scene Upas crater, here you can also enjoy the beauty of the Queen crater in different side. Not far from there is also water Upas crater sacred. It is said that if you wash your face with this water, you can stay young as Dayang Sumbi. 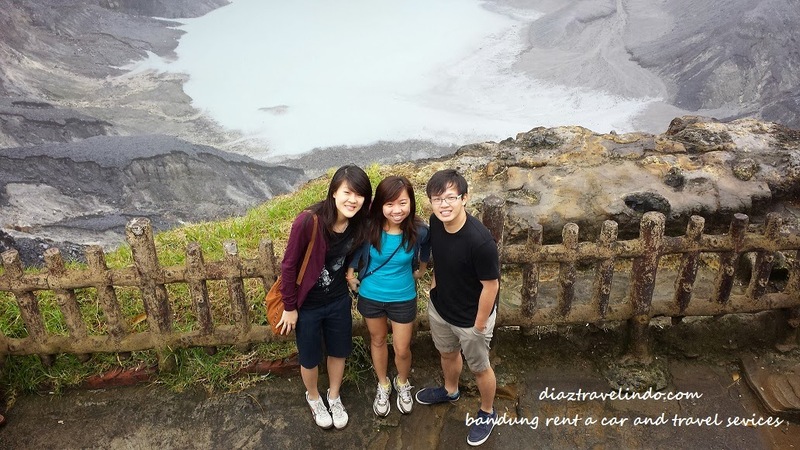 Visitor can walk from the queen crater to the Domas crater. Located around 30 - 45 minutes walk down the stair. There is another entrance to go there. 20 - 30 minutes from main street. At the bottom of the crater you can see the steam near the source. You can boil the egg, the taste is a bit different if we boil with natural water. Other favorite tourist activity is soaking the feet, it will release your stress at your foot. Or you can Mud bath. 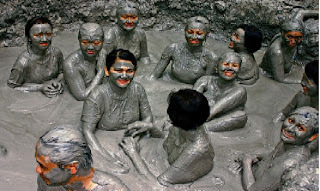 It said that mud with high concentrate of sulfur, will kill bacteria and germ at our body, make skin more beauty, smooth and clean.